Optimism about the job market has consumers feeling more upbeat about the U.S. economy than they have been in four and a half years, according to one key measure of consumer confidence. The Consumer Confidence Index calculated by the Conference Board rose to 73.7 in November, up slightly from 73.1 the month before. That's the highest level since February 2008. Solid hiring in the fall has fueled much of the recent improvement in sentiment. In November, 20.3% of people surveyed said they expect more jobs in the next six months. "Over the past few months, consumers have grown increasingly more upbeat about the current and expected state of the job market, and this turnaround in sentiment is helping to boost confidence," said Lynn Franco, director of economic indicators at The Conference Board, in a statement. Meanwhile, a housing recovery has also boosted sentiment. About 6.9% of consumers surveyed say they plan to buy a home in the next six months. A separate report released Thursday showed home prices rose 3.6% in the third quarter compared to the same quarter a year earlier. It marked the biggest year-over-year jump in two years, according to the S&P/Case-Shiller index. That said, economic growth still remains sluggish and that also affects how consumers are feeling. About 60% of consumers said they believe the economy will have the same number of jobs six months from now and 69.1% said they expect their income to remain the same over that time period. Economists point to fears about higher taxes in 2013 as a potential threat to consumer confidence and also spending habits in December, as fiscal cliff negotiations continue on Capitol Hill. "As yet, households are largely unaware of exactly what the 'fiscal cliff' means to their bottom line, or simply believe Congress will figure it out and do something before it takes effect," said Ellen Zentner, senior U.S. economist with Nomura. "As widespread media coverage concentrates more on the fiscal cliff, so will U.S. households." Other measures of consumer confidence by the University of Michigan and Rasmussen Reports, already show fiscal cliff fears weighing on sentiment. 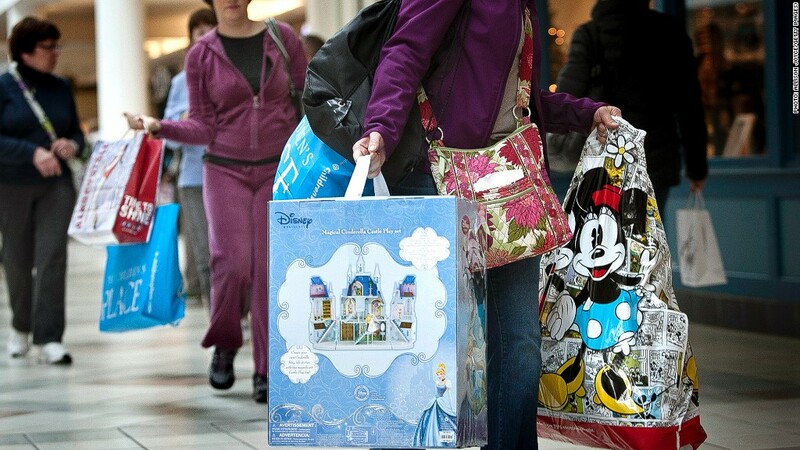 In a report released Monday, the White House said uncertainty about taxes could hurt holiday sales and consumer spending going into 2013. Consumer spending accounts for more than two thirds of U.S. economic activity.